The Institute of Universal History was established in 1936 and at the very foundation of the Institute a department of medieval history came into being. It was headed by Academician Evgeny Kosminsky, expert on English agrarian studies and historiography of the Middle Ages, and one of the few Soviet historians of that time whose erudition, competence and sincerity were never held in doubt by Western colleagues. Later on the Department was directed successively by N.A. Sidorova (1952-61), Academician S.D. Skazkin (1961-73), A.N. Chistozvonov (1973-88) and A.A. Svanidze (1988-2003). Over the years many outstanding historians worked in our Department. We should recall Boris Porshnev (1905-72) (expert on Ancien Regime France, medieval social history and popular movements), Moisey Smirin (1895-1975) (15th and 16th century German history, Peasant War and Reformation), Aleksandr Neusykhin (1898-1968) (ancient Germans, early medieval peasantry), Yakov Levitsky (1906-70) (English towns, 11th and 12th centuries), Liubov Kotelnikova (1929-88) (medieval Italy), Yury Bessmertny (1923-2000) (socio-economic history of medieval France, including rural studies, knighthood and everyday life), Evgenia Gutnova (1914-92) (medieval England, emergence of Parliament, historiography) and Olga Varyash (1946-2003) (medieval Iberian and legal history). Many noted Russian medievalists of today had a spell at the Department as post-graduates or staff members. They include Vera Budanova, Vsevolod Volodarsky, Aaron Gurevich, Oleg Kudriavtsev, Vladimir Malov, Lidia Milskaya, Lorina Repina, Nikolay Uskov and Aleksandr Chernykh. Our principal publication is the annual Sredniye Veka (Middle Ages). Its first edition appeared in 1942, and No. 67 is currently in print. From the very start it has been, and still remains, Russia's only periodical specifically devoted to medieval history of Western Europe. Every Soviet and Russian medievalist contributed to it at least once. At present its general editor is A.A. Svanidze, assisted by the secretary, S.K. Tsaturova. Members of our Department took part in all major historical projects of the Russian Academy of Sciences, i.e. : World History (vols. II-III, 1957-8), History of Peasantry in Europe (3 vols. Moscow, 1985-7) and History of Europe (vols. 2-3, 1992-3). A child of our own is the fundamental 4-volume work, Towns in Medieval Civilisation of Western Europe (1999-2000), let alone individual monographs and collections of essays. Members of the Department have always taught and lectured widely, writing many sections for school and university textbooks, or publishing those of their own. They teach regularly at the Moscow State University and other educational bodies as well as at the University of Humanities established in 1995 within the Russian Academy of Sciences. In November 2000 we held a seminar on medieval studies, and in July 2001, with financial support of the Open Society Institute Higher Education Support Program, a summer school for young teachers of medieval history from Russia and the CIS countries («How to be a medievalist: new challenges and university courses on medieval and early modern history»). The Department keeps in close touch with regional Russian universities in various ways, through traditional academic links, contributions to our annual Sredniye Veka or joint editions (for instance, Towns in Medieval Civilisation), supervision of post-graduates and visiting researchers (sponsored by the Federal Integration Fund), etc. We have recently been awarded two grants for scholarly co-operation with the universities of Kazan and Voronezh. We are very interested in other contacts with our colleagues elsewhere, always being open to new suggestions. At present our Institute includes a dozen departments whose members deal with medieval and early modern history. In order to join forces with them we have just launched our web-site, and founded an «Assembly of Medievalists» to discuss the vital issues of our community. Feudal society: concept, periods and regional variations. Historiography, new approaches and strategies of study. Dynamics of medieval society. Social structures. Economic, administrative and political institutions. Communities, corporations and estates. Imaginary social world (metaphors of social structure: the body mystical, the tripartite model, the tree of kings, etc.). Medieval identities: stability and choice. Symbolic systems, rituals and ceremonies. Social tensions in the Middle Ages: sources and consequences; typology of conflicts and means of their settlement. Factors of social stability. Church, religious experience and the problem of tolerance. Medieval law: customs, procedures and legislature. Sources on social history: traditions and new interpretations. States and territorial formations: universality and particularity. Medieval man and his age. Medieval man and God: individual perception of the sacred. Horizons of medieval knowledge and thought. Everyday life, actions and deeds: norm and exceptions. European Middle Ages and Russian history. Personal contacts, mutual perceptions and influences. Middle Ages in Russian culture, from 18th to 21st century. Cultural reception. Middle Ages and medieval myths in ideology and politics. Middle Ages in contemporary popular culture. Medievalist historians and the wider world. Russian society as seen by medievalists. Rethinking the Middle Ages: new understanding of Russian and foreign masterpieces of medieval research. Fate of fundamental medievalist ideas in historiography. Perspectives of medieval history in contemporary humanities. 1978 M.A. in medieval history, Moscow Pedagogical Institute. 2003 Doctoral thesis, Institute of Universal History. Thesis title: French Society in the 16th Century: Essays in reconstruction based on notarial acts. Since 2003 head of the Department. Field of research: social history of France, history of cities and universities. Co-editor of Sredniye Veka, Odissey and French Annual. Member of International Association of History of Universities under the International Committee of Historical Sciences. 1952 M.A. medieval history, Moscow State University. 1981 Doctoral thesis, Institute of Universal History. Thesis title: Medieval towns and market in Sweden, 13th to 15th centuries. Author of over 300 papers and books. Since 1990 editor-in-chief of the annual Sredniye Veka. Field of research: medieval towns and corporations, history of Scandinavian countries, medieval culture and legacy of medieval Western Europe in Russian culture. Vice-President of the Association of Medievalists and Historians of Early Modern Period. 1989 M.A. in medieval history, Moscow State University. 1996 Ph.D., Institute of Universal History. Thesis title: Miguel Serveto: theology and medicine in the 16th-century outlook. Field of research: history of early modern medicine. M.A. in medieval history, Moscow State University. 1987 Ph.D. Thesis title: Nobility in the social structure of Castile (second half of 16th - first half of 17th century). Field of research: Spanish history, 15th to 17th centuries (nobility, statehood, culture and social thought), history of Great Geographical Discoveries. Corresponding Member of Academia Real de Heraldica y Genealogia in Madrid. M.A. in medieval history, Ivanovo State University. 2003 Doctoral thesis, Institute of Universal History. Thesis title: The World of the English Manor (according to Lancashire and Wiltshire land extents, late 16th-early 17th centuries). Field of research: agrarian and social history of Early Modern England. 1997 M.A. in medieval history, Moscow State University. 2004 Ph.D., Institute of Universal History. Thesis title: The Novellae of Pope Innocent IV. Field of research: history of the Roman Catholic Church, 11th-12th centuries, canon law and 13th-century papal acts. 2000 Ph.D., Moscow State University. Thesis title: Craft statutes of medieval France and methods of their quantitative analysis. Field of research: craft and commercial corporations in medieval and early modern France; quantitative methods in using the sources. 1954 M.A. in medieval history, Moscow State University. Field of research: social and political history of Spain during the Reconquest (especially 11th to 15th c.), legal status of Spanish peasantry, Castilian cortes, and Russian historiography on Spanish history. 1998 M.A. in medieval history, Moscow State University. 2002 Ph.D., Institute of Universal History. Thesis title: Mozarabs of Toledo: Problems of identification. Field of research: social, political and legal history of Iberian Peninsula, 10th to 14th c.
Co-editor of Orbis medievalis website. 1986 M.A. in medieval history, Moscow State University. 1990 Ph.D. Thesis title: Scotland until the late 14th century: social development and political struggle. Field of research: history of Scotland and Russo-Scottish contacts from the Middle Ages onwards. Co-founder and Vice-President of Moscow Caledonian Club. Honorary Research Fellow, University of Aberdeen. 1981 M.A. in medieval history, Moscow State University. 1990 Ph.D. Thesis title: The Parliament of Paris in the first third of the 15th century (according to the diaries of court secretaries). Secretary of the editorial board of the annual Sredniye Veka. 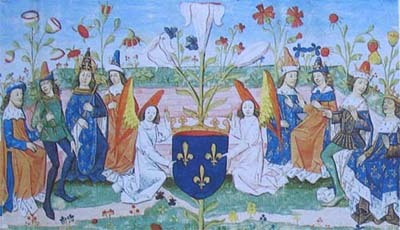 Field of research: social and political history of France, 14th-15th centuries, institutions of royal power, birth of French bureaucracy, cultural history and political culture. 1993 M.A. in medieval history, Moscow State University. 2000 Ph.D. Thesis title: Gustavus Vasa and the beginning of Reformation in Sweden. Field of research: medieval and early modern church, political history, ideology and culture of Sweden and other Scandinavian countries. 1972 M.A. in medieval history, Moscow State University. 1995 Doctoral thesis. Thesis title: Machiavelli in Russia: morals and politics over five centuries. 1980. PhD. Thesis title: Ethics and religion in Machiavelli. Field of research: Italian Renaissance, Russia and the West, theory of history. Villani G. Vsemirnaja chronika... (Nuova Cronaca, ovvero Storie fiorentine)/ Translation, comments, paper. Moscow, 1997. Machiavelli N. Rassuzhdenija... (Discorsi sulla prima deca di Tito Livio. Il Principe)/ Translation, comments, paper. Moscow, 2002. Republished two times more. Braudel F. Sredizemnoje more... (La me'diterrane'e et le monde me'diterranne'en a' l'e'poque de Philippe II). 3 vols/ Translation, paper. Moscow, 2002 - 2004. Bitsilli P.M. Izbrannyje trudy... (Selected works on medieval history: Russia and West)/ Executive editor, paper. Moscow, 2006.